A medieval knight would not dare be found without a trusty dagger at his side! 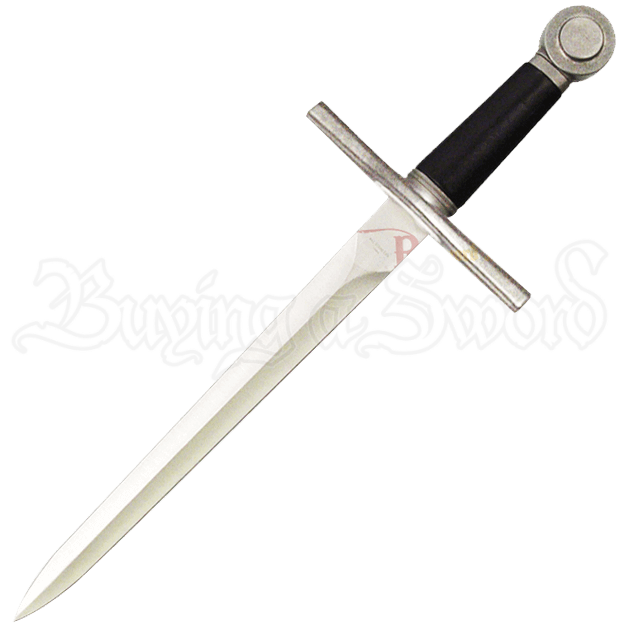 This Medieval Handmade Knights Dagger with Scabbard can serve you many purposes, and it is the perfect wat to complete your look at any medieval event. A ridge runs down the center of the stainless steel blade, which features a false edge and a sharp point. The steel guard runs straight across to offer protection for your hands. Leather-wrapped wood makes up the handle of this dagger, and the pommel is a traditional disc shape. Included with this dagger is a wooden scabbard with a steel drag and throat. With such a classic look and feel, it would be a shame not to include this piece in your medieval weapons collection.